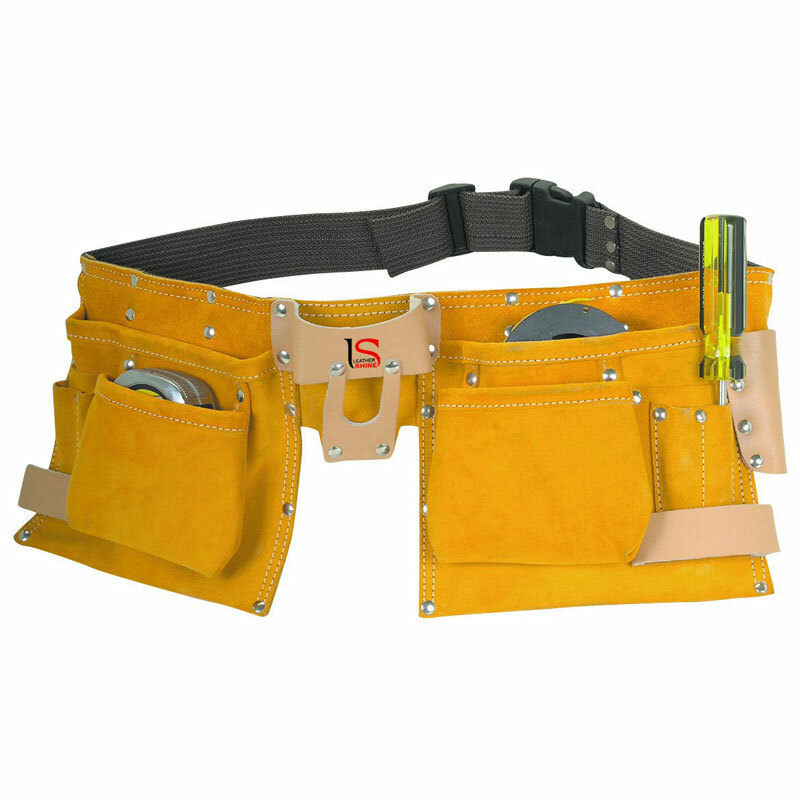 Keep your tools handy and accessible with this carpenters tool belt. Made of split leather with double stitched ends and steel rivets for strength and durability, this tool belt is built to last. The belt features two large pockets, two medium flared pockets and six small pockets to fit tools, accessories, bits and anything else the job requires.